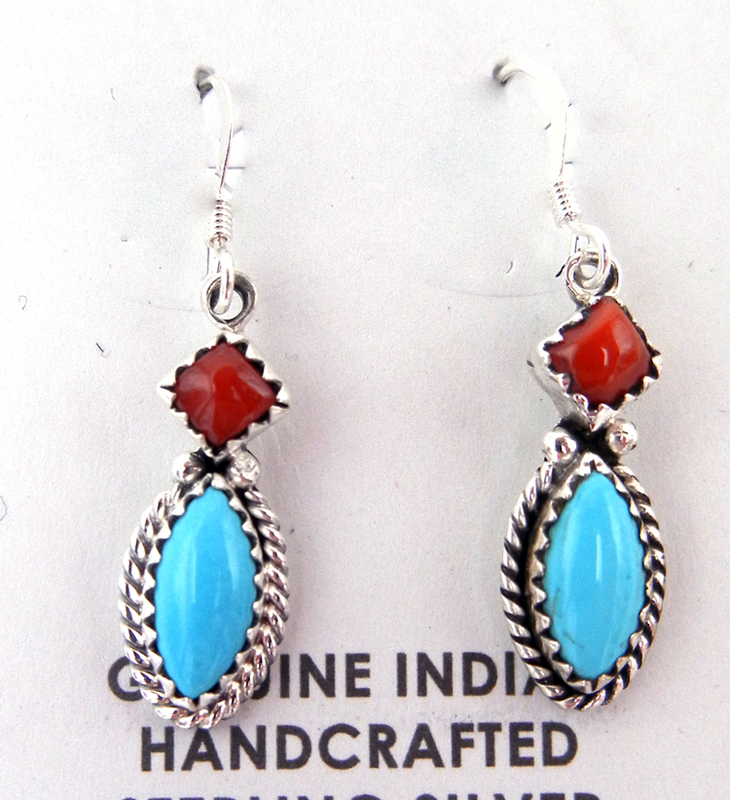 Diamond shaped coral pieces rest atop rounded diamond turquoise stones in these delicate Navajo earrings. 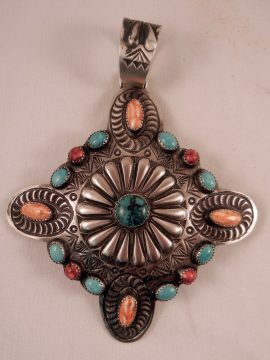 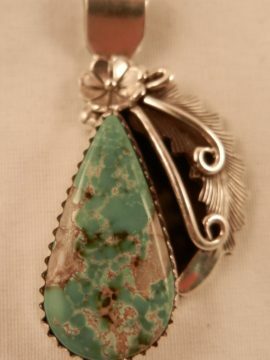 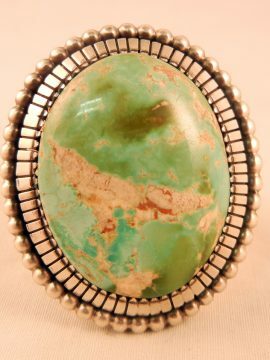 Each stone is set in a sawtooth sterling silver bezel, while the blue turquoise pieces are surrounded by a sterling silver rope pattern. 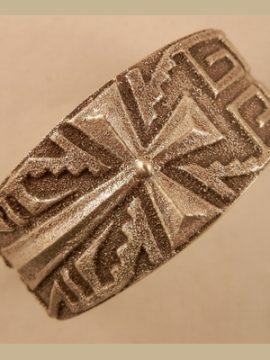 1 1/4″ long including French hook x 1/4″ wide.